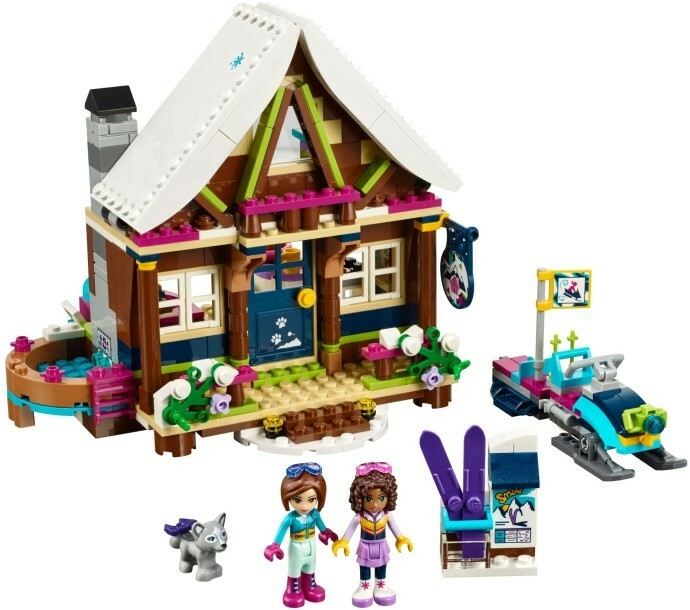 The LEGO® Friends Snow Resort Chalet has an outdoor hot tub, kitchen and a lounge area with log fire. Upstairs there’s a bedroom with 3 beds, vanity and a dog bed. There’s also a cool snowmobile for exploring and a cute husky puppy to look after. 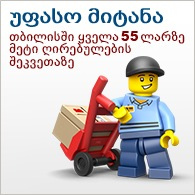 Includes 2 mini-doll figures. 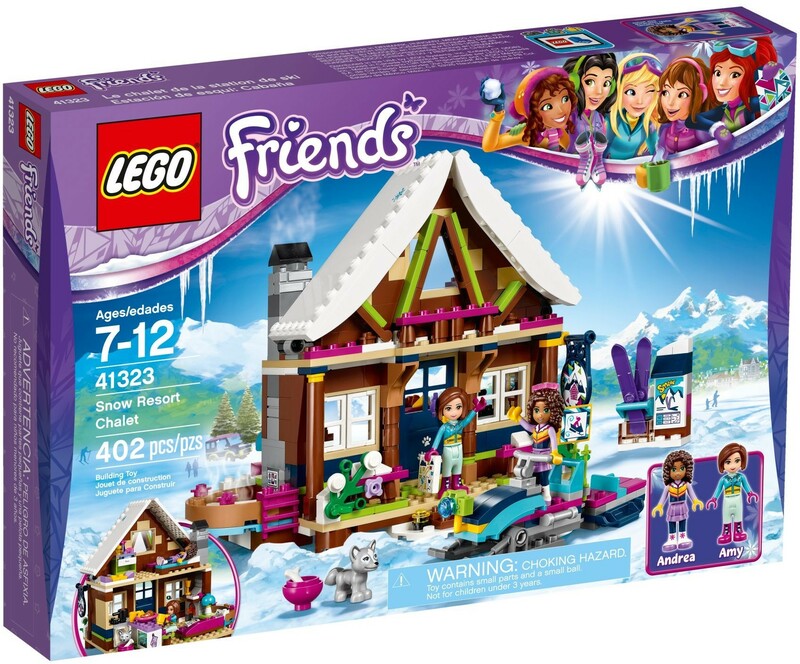 Includes Andrea and Amy mini-doll figures in winter outfits, plus a Luna the husky figure. 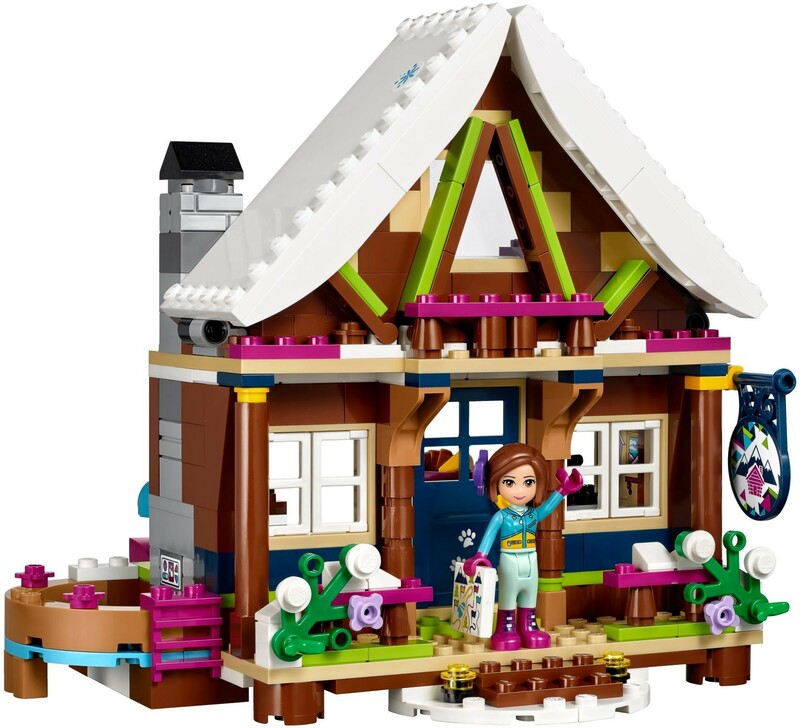 Features a 2-story log cabin with outdoor hot tub, kitchen, lounge area with fireplace, dining area with table and chairs, upstairs bedroom with 3 beds and a snowmobile. Accessory elements include skis, wooden trunk, cups, pot, cheese, croissant, board game, snow resort flyer, mobile phone, action camera, perfume bottles, dog food and a map. 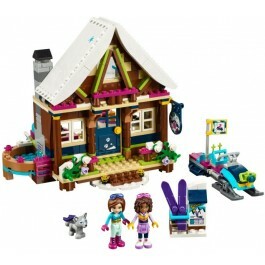 Have fun in the hot tub at the Snow Resort Chalet with Andrea and Amy. Sit Luna on the snowmobile and take it out for a spin. Make a meal in the kitchen and enjoy it in front of the log fire. Chalet measures over 5” (15cm) high, 6” (16cm) wide and 5” (15cm) deep. Snowmobile measures over 1” (4cm) high, 4” (11cm) long and 1” (3cm) wide.